The average 20-year-old has a one-in-five chance of becoming disabled at some point during their professional lives, according to the Social Security Administration. However, those figures rise as we age. Our Boston SSDI attorneys know that the fear of aging is not so much about the number of candles on the cake but the tasks we’ll no longer be able to complete. Unfortunately, those challenges come much earlier than we might have hoped. The New York Times recently explored the as-yet unattained “compression of morbidity” plateau, whereby we remain active and healthy as we age until our bodies reach their limit, fail and die quickly. But it’s not happening that way, in fact not for most people. It’s true we’re living longer, but we’re paying for that in a way with extended disabilities that stretch far into old age. In the U.S., we’re seeing this greatly amplified by the fact that one of our largest generations is now reaching its golden years. So while political power players and media pundits harp on the growing number of those claiming SSDI, this was, in fact, fully expected, though it’s true we had hoped to some extent to avoid it with the help of modern medicine. 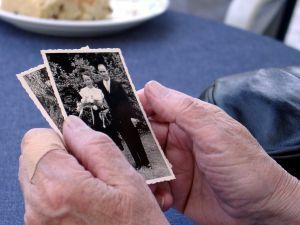 A recent study conducted by the University of California, San Francisco, sifted through 15 years’ worth of data from the federal Health and Retirement Study to figure out what the disability rates were for those in the final two years’ of their lives. What they found was that in spite of huge investments in geriatric medicine, while we can in some cases slow or delay disability, we haven’t yet been able to prevent it. Most people who live into old age do so with some type of mobility or disability. Women are especially at risk, mostly because they live longer. Of 8,200 adults over the age of 50 who died between 1995 and 2010, researchers found that nearly a third were disabled in the last two years of their lives. Disabled was defined as requiring assistance with basic daily tasks such as dressing, bathing or using the toilet. Twelve percent of those were listed as severely disabled. The rate of disability ticked up with age. Those who passed away between the ages of 50 and 69 had a disability rate of 15 percent. Those who died after the age of 90 had a 50 percent chance of being disabled. The biggest problem appeared to be mobility. Nearly 70 percent of those surveyed had trouble walking more than a few blocks in the two years prior to death. Nearly half had trouble walking a single block and more than half reported struggles in climbing a single flight of stairs. This study focused only on physical disabilities. It’s worth noting that a number of cognitive impairments can also impact your ability to work – equally if not more so. Depending on your exact age, you can anticipate collecting Social Security old age benefits sometime between ages 65 and 67. If you become unable to work before that point, this is when you can turn to SSDI. It may only be a few years before those benefits are then rolled over to the old-age system, but for many people, this is a critical transition.